The Edinburgh Guitar Night is the premier event for showcasing guitarists of all genres in the city, presenting acclaimed artists from Scotland, the UK and the rest of Europe. Justin St-Pierre is a self-taught performer and composer originally from Quebec. 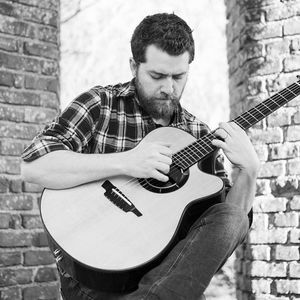 With more than 300,000 views on YouTube and winner of the Canadian Guitar Festival, Justin St-Pierre is one of the benchmarks of fingerstyle guitar. Justin recently relocated to France, and has toured Canada, New Caledonia, the US, and soon China. We are delighted to have him in Edinburgh for his debut performance in Scotland. Justin creates a contrast between the simplicity of the instrument and the complexity of his music. He offers an unique musical journey and an impressive visual performance. Three albums to his credit, the composer travels the world in search of inspiration and multi-cultural sharing. His music is above all an invitation to travel, inspired by the places and states of mind crossed over time. Filled with emotion, his instrumental pieces offer introspection, as they subtly touch the heart and the soul.